Book meeting rooms directly from the touch panel. Mount on any surface, including glass walls. Quick and easy installation and setup. No programming needed. Configure via the touch panel or web GUI. Suitable for small offices as well as large corporations. Use for one room or dozens of rooms. Ethernet ports enable 10/100BaseT network connectivity. Protrudes only 1" from the wall. The In-Session Room Scheduler gives you a simple way to reserve meeting rooms. Because it works with Outlook, Microsoft Office 365, Microsoft Exchange Server, and Google Apps from Work, you can easily reserve rooms directly from your computer or smartphone. Or, you can use the touch panel. In-Session is suitable for small offices as well as large corporations. 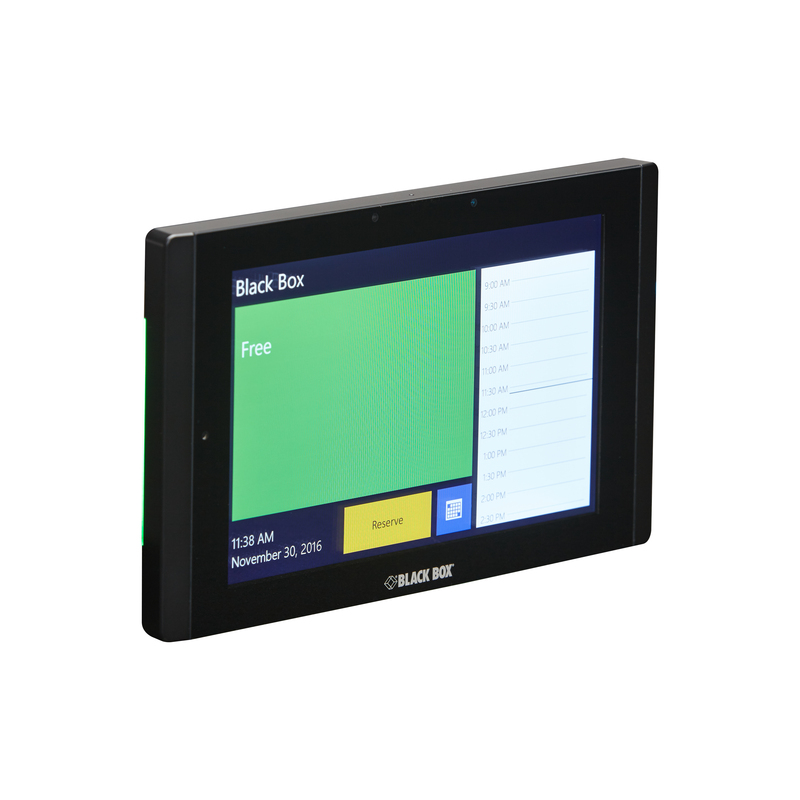 It's scalable enabling the use of dozens of touch panels which can be interconnected with a main panel to show all room reservations. You can check the status of the room from afar with just a glance at the touch panel LEDs. The system features multilingual user interface: Czech, Danish, English, French, German, Latvian, Russian, and Spanish. Other languages are available on demand. 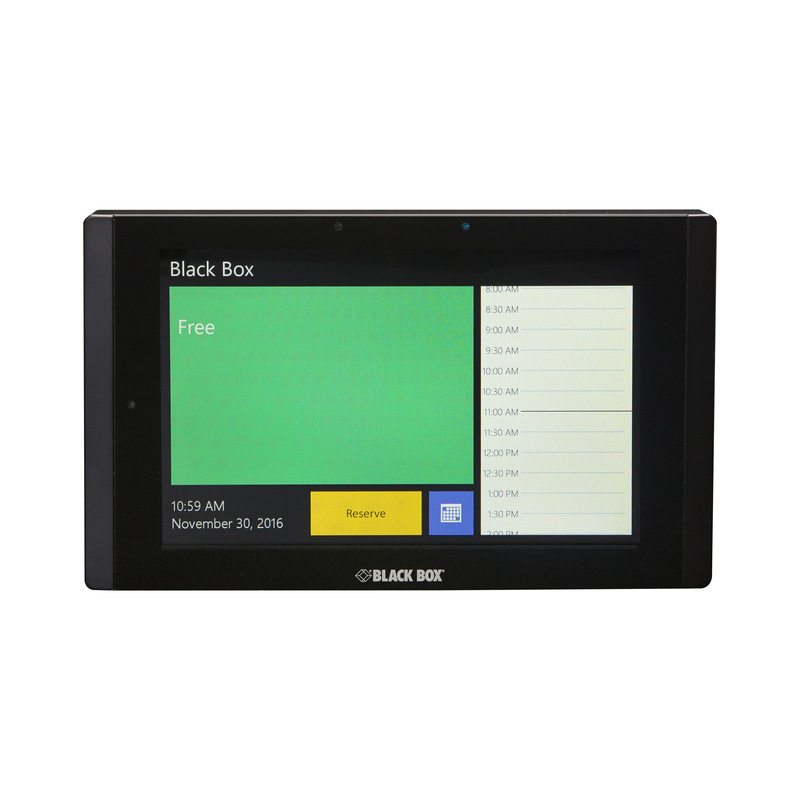 The 7" In-Wall IN-SESSION Room Scheduler comes with a standard 3 Year Double Diamond™ Warranty (Standard) already included.